When it comes to weddings, there’s one guest who holds more weight than the maid of honour or the bridesmaids. And that would be the mother of the bride. As such, she has to get equal pampering as with the other girls in the entourage – if not given the level of attention that the bride receives herself, that is. It need not be stated enough that choosing the perfect mother of the bride shoes and bags should be done with equal care as well. For the mother of the bride, buying the finest matching shoes and bags are always the best way to go. Sometimes, the mother of the bride walk down the aisle with her daughter. But if she doesn’t it is more than necessary for her to wear something similar to the bride herself, to give distinction to her role in the wedding. When buying mother of the bride shoes and bags, be sure to pick the ones that are in full accordance to the wedding theme. Wedding shoes and matching bags should be in the same colour as the bride gown, or at least to that of the bride’s maids. Technically, you have two colour choices. You can choose a pair that is all white like the daughter’s or you can pick the pair coming in an entirely different, more exciting colour If the mother of the bride is the more conservative type, white is the ideal colour for her. Otherwise, she can always go for the more radiant motif colour. Wedding shoes and matching bags should be in harmony with the colour of the bridal gown. If not, it must be at least similar that of the bridesmaids. 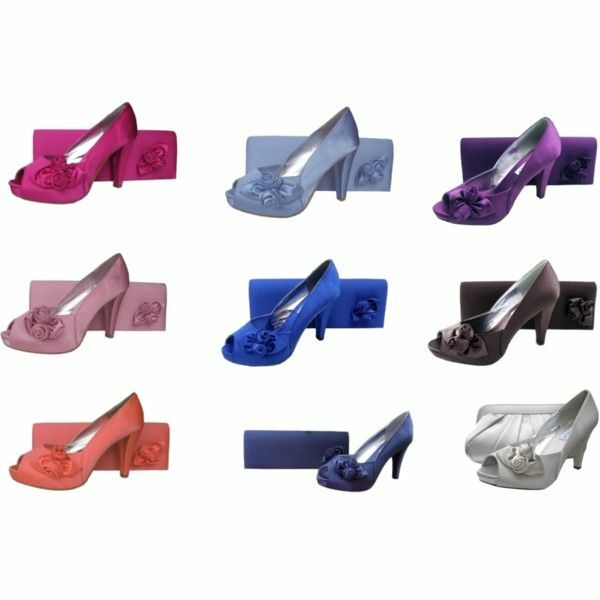 The mother of the bride is free to choose whatever shade of colour she prefers for her shoes and bag. She can always go in line with the wedding colour or wedding theme, which is the best thing to do; or go against it, which is not recommended. Step on over to Sole Divas and view our fabulous collection of wedding shoes,bridesmaid shoes and mother of the bride shoes and bags.